Create an impressive resume that will help you land your next job! 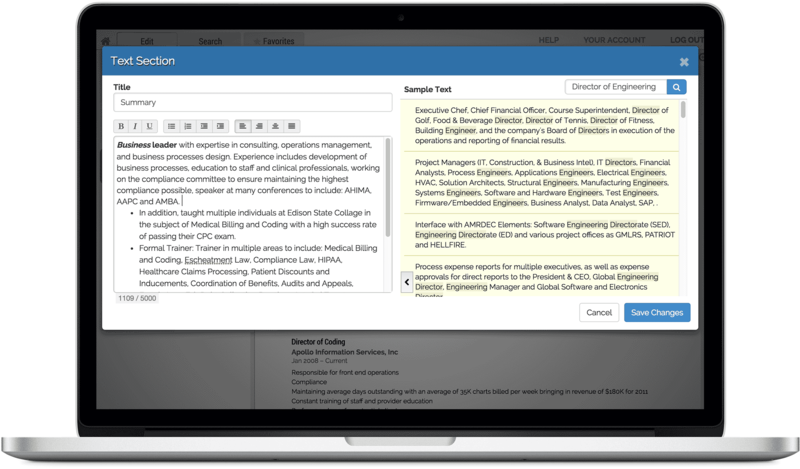 Built by experts, our award-winning technology allows you to easily build an incredible resume with little effort. 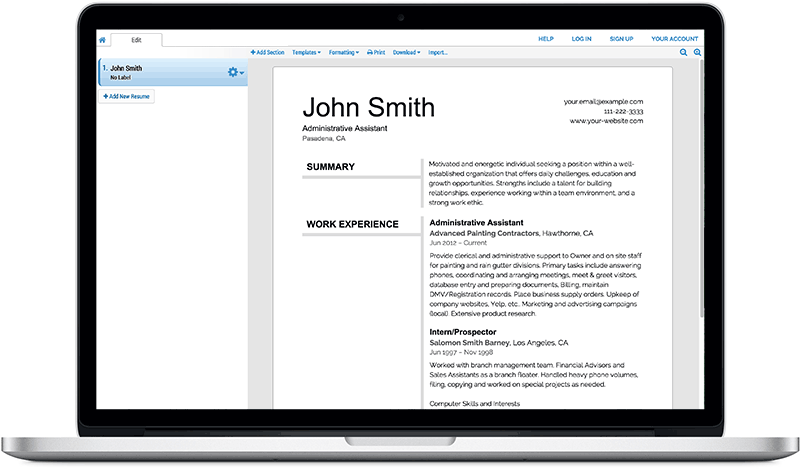 Whether you’re just starting to look for a job or trying to update your resume, our online resume builder can help you increase your interview call backs. No time to write your resume from scratch? 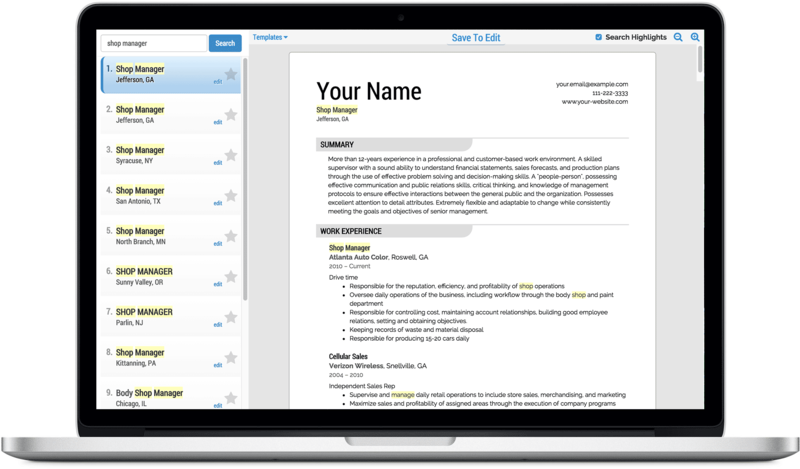 Our resume builder uses a powerful search that can deliver sample resumes from over 500,000 proven resumes from different career industries. Having an access to thousands of resume examples means having a competitive edge over other job applicants. No other resume builder gives this kind of “super” access. The editing software of our resume builder allows you to either build your winning resume step by step or edit a sample resume to make it your own. Our resume editor is very easy to use and comes with clean, professional templates that are easily readable by many applicant tracking system (ATS) and resume scanning tools. This means that you can be sure your resume will pass the initial screening of hiring managers. I love how easy it is to use the Super Resume builder. I updated my resume in less than 5 minutes, downloaded it, sent to headhunters, and 2 days later, I got an interview invite from one of the Fortune 500 companies I applied for! This is basically the easiest, least complicated resume builder I encountered. The templates also look professional and clean. Thank you Super Resume for helping me upgrade my 10-year-old resume. Cool, awesome, and easy to use. Finally got the promotion I’ve been eyeing when I applied using my updated resume. You guys rock!